Woman Eats Entire Life Savings to Spite Unfaithful Husband	"
It’s a universal agreement that money is dirty. Dollar bills can be found in a variety of places, such as: in a stripper’s “uniform,” in a woman’s bra on an unusually hot day, on bathroom floors, between the cushions of a couch, and– in your stomach!? 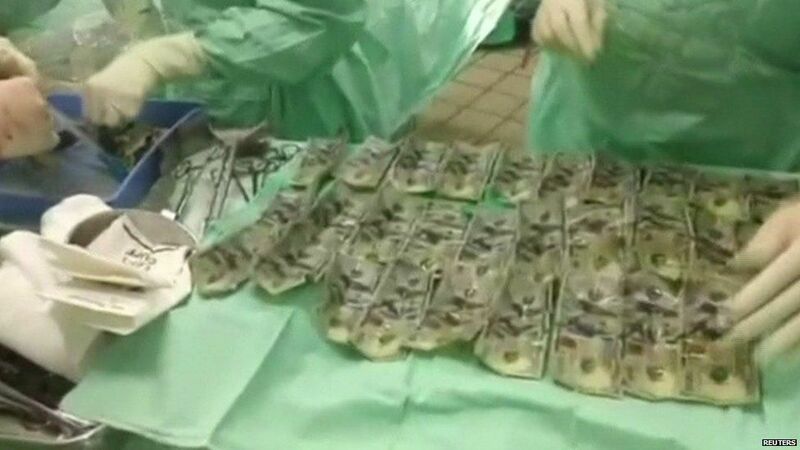 Sandra Milena Almeida, a Colombian woman, became a human ATM after literally eating £7,000 ($9,000) in cash after learning of her husband’s infidelity. Her desperate measures were only discovered when she went to the hospital complaining of abdominal pains, where doctors then discovered the bills in her stomach. Believe it or not, eating the money was not Almeida’s original intention. Upon learning of her husband’s cheating, Almeida first hid the money from him. It was upon his discovery of the funds that she decided to eat the money since he demanded half of it. Apparently, that was not an option for Almeida. Director of Surgery at the University Hospital of Santander, Juan Paulo Serrano, told reporters: “57 $100 bills were found and extracted by the orifice opened in the stomach.” He adds, “some extra rolls [of money] were found in the intestine, which advanced to the colon,” which means her body had already begun digesting the money she ingested. 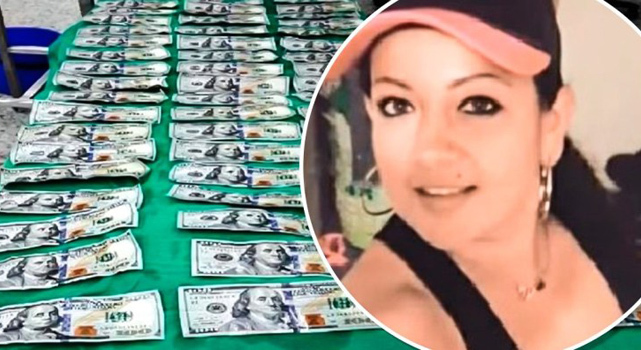 How she was able to swallow fifty-seven bills is unknown but officials speculated that the money was used to hide drugs or other illicit substances. Those claims were unsubstantiated. It appears that Almeida simply took desperate measures when faced with the problems she was dealing with and really ate the money for no other reason. After all, there is no fury like a woman scorned and that now includes being able to ingest literal money to spite your adulterous husband. Almeida is expected to make a full recovery. Some of the money was recovered and washed and are now in “good condition,” according to Mr. Serrane, but the rest were ruined by the acids in the intestinal tract. Think twice next time you pull out a few dollars from your wallet!